Well, that was a busy few weeks culminating in the SAND Away Day for the Action Group. Once again, we went to Westhope College for our Away Day – this has become something of a tradition in a bit of a haphazard way – we never think about it until Spring and then one way or another we have a whole load of things to discuss at a more qualitative level than we can manage at our monthly meetings and so a full day in the glorious surrounds at Westhope recharges our batteries and gets the brain cells fully functioning! This year saw a 100% turnout (pictured). 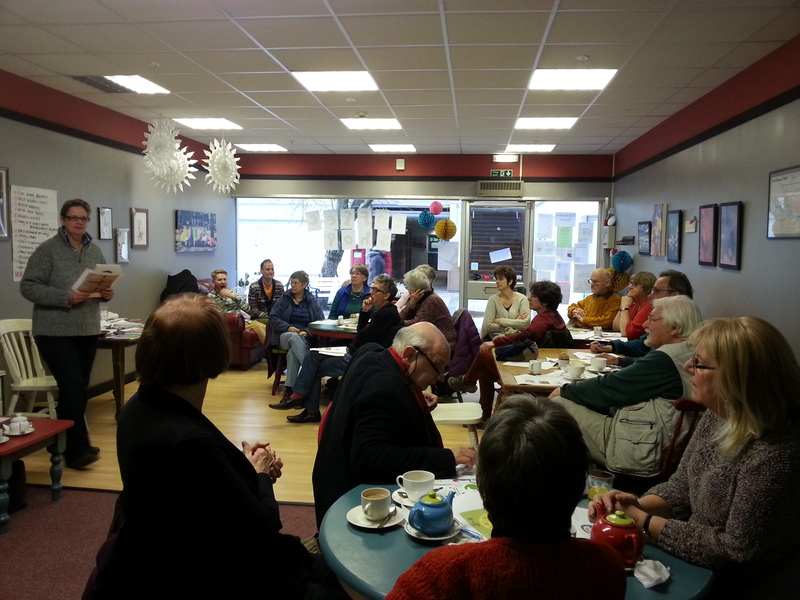 the day started with our AGM and a big thank you to Les Woods, one of our Directors who stood down. Les was offered a new role as an honorary member of SAND, which he has happily accepted! We all took part in a Dementia Friends Information session delivered by our own Dementia Champion, Heather. This is really important for us – and timely – as we are having an increasing number of conversations about dementia – and indeed will be hosting an acclaimed play: The Purple List in September, which was supported last year by Skills for Care. Do click on the link and book your ticket here – we are delighted to accept support from FBC Manby Bowdler Solicitors and Coverage Care to help this event to happen, and welcome further support if you are interested. Typed in ‘tired bunny’ and got this! Tonight’s meeting just showed how many different people and agencies we are suddenly talking to! This includes those we are plotting with for future engagement – research and discussion: University Centre Shrewsbury; some who are asking us for information: Alzheimer’s Society and those we are chasing: Centre for Ageing Better – all for starters on our list of Matters Arising. November is nearly over which means that the fabulous SAND fundraising disco and auction #sanddance15 is over and what a night! Once again the event raised over £2,000 which is just fabulous! Huge thanks go to Jeremy from Hall’s who once again did such a good – and hilarious – job with the auction and, of course to everyone who gave items – you are total stars and we are so appreciative. As well as a fundraiser, the disco aims to raise awareness of SAND and, sure enough, we have a few more followers on facebook and twitter as a result, so keep sharing and spreading the word. At the moment we are working on our membership – as more people express interest in getting involved with SAND, we need to work out how they can do that and not be left high and dry. We want people to be able to put their talents to good use and to find their work with SAND rewarding and a good use of time – hmmmm. So – we are looking at some form of volunteering scheme, we’ll be making notes on that as we go along. We are also delighted to report that we have once again secured a small grant to take forward one of the recommendations from our last Healthwatch Shropshire funded research – namely to talk to health and social care providers about their responses to older and old Trans people in the County. We have drawn up our research plan and will start any day now. This research, the planned care home visits and building connections with other groups is the mainstay of our activity at the moment and – bearing in mind that every member of the SAND Action Group is a volunteer, we are doing pretty well! Oh, and we are planning an event for the Spring – this will be about bringing our own communities together to update on what we are doing and encourage more involvement. Of course, SAND is operating in a given environment and we unclear about the implications of the Shropshire Clinical Commissioning Group going into special measures – we had hoped for their engagement too, in the issues we are raising, but it now looks like we may have to wait! Doors open at 7.15pm this Saturday at the Darwin Community Centre in Shrewsbury – just over the Welsh Bridge, turning left and next door to the chip shop! Tickets selling well and available on the door (£10 or £7 concessions). We’ll be starting with a fabulous line-dance lesson from Jane Hoy – imagine that later in the night when Saturday Night Fever comes on!! The auction starts at 8pm – items listed at www.sandgig.co.uk – and you can place bids in advance – just contact us via our website ‘contact us’ page to pledge. Jeremy from Hall’s will be with us once more – and there will be another chance to get that bargain champagne! DJ Mike is back spinning the vinyl with Hattie – we just cannot wait! Sorry for any disappointment but we are cancelling the SAND SKA Night gig with the BC All SKAs, scheduled for 25 July. We love the idea but realise that we are totally snowed under with grant applications and core work and just cannot give this the attention that it deserves. We are very grateful to the BC All SKAs for being willing and marvellous and are sad about the decision but sure it is the right one. Next up – 21st November when we shall definitely be hosting the 70s Disco. Thanks for all your support and enthusiasm and more soon from our Away Day. Here we go – heading heartily for exciting times in 2015. Our slow move to Company registration is now on a trajectory – we just need to nail the business plan and financial forecast and we’ll be away. I imagine this is quite hard to believe after all this time, but it really does feel like the final straight (no pun intended). We have written and agreed our Articles which ensure we can continue to operate pretty much as we have been, with ownership and decision-making by the whole Action Group. The bank balance is inevitably looking a little low these days so we are going to have to apply ourselves to income generation, fundraising and grant applications – preferably all in line with our Action Plan! In terms of income generation we provided some training for Shropshire Fire & Rescue which went down so well they have asked us back for more. We are also in conversation with some local solicitors and all this will become much clearer when we dive into the business plan stuff (we’ll try to add some cheer to the process – perhaps cake will help! We do plan to set up a regular donations-type scheme but we are waiting until we have our Company details all sorted because we will have to change our bank account at this stage. Thanks to everyone who has made enquiries about this. Fundraising – we have a couple of benefit nights up our sleeves which we need to work on – the coming month will be crucial if we’re going to get those sorted. We would like a reputation for fun as well as gravity, so these are really important to all the SAND Action Group members – they are a great opportunity for raising awareness as well as generating a bit of dosh. As for grant applications – they don’t seem to be our best source of income but we are rarely down about it. We spent a good few days this month working out a cunning plan – but we’re not telling in case it doesn’t come off. If it does we’ll be shouting from the rooftops. Diary date alert – We will be running an event on 21st May (afternoon) specifically for providers of health and social care. Here we will be presenting the findings from the research funded by Healthwatch Shropshire. We are also planning ‘a special turn’ – watch this space 🙂 We will be setting up an Eventbrite page for people to sign up and we’ll send details around as soon as they are ready. 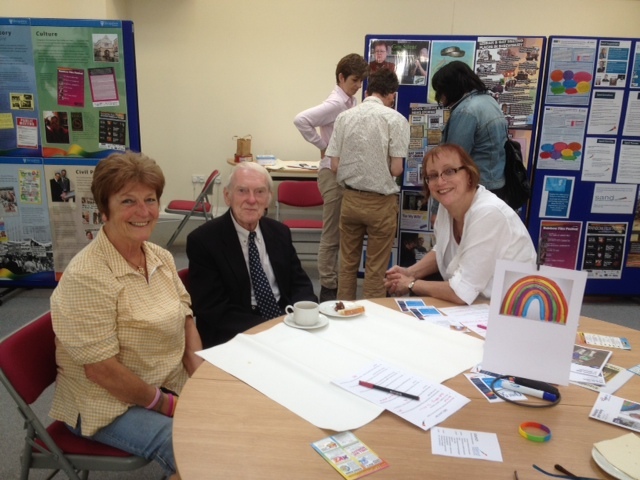 We are also following up on plans to do something around housing options for older and old LGBT people. Severnside Housing is planning an LGBT Drop-in event on 6th June (details to follow) for all age groups and there is some research afoot which we will know more about shortly. This fits well with our own plans to hold some sort of event about Housing options – although we feel we should nudge this along a bit and wait to see what the research reveals before rushing into anything. Our communications with local solicitors is moving along – we have visited one practice and had some really positive conversations. These look like developing and we are looking forward to seeing what happens next. We are due to meet with a second practice in April. We’re being a bit hedgy right now because we need to have the conversations with them first – before plonking it on a blog! You know when you press the gas pedal …? Wow, it feels like we have lift off! SAND is a perpetual growth machine at the moment with more excitement ahead so, whilst the last month saw our latest in a series of failed funding proposals we are not down – we eat too much cake to be down. We are buoyant! 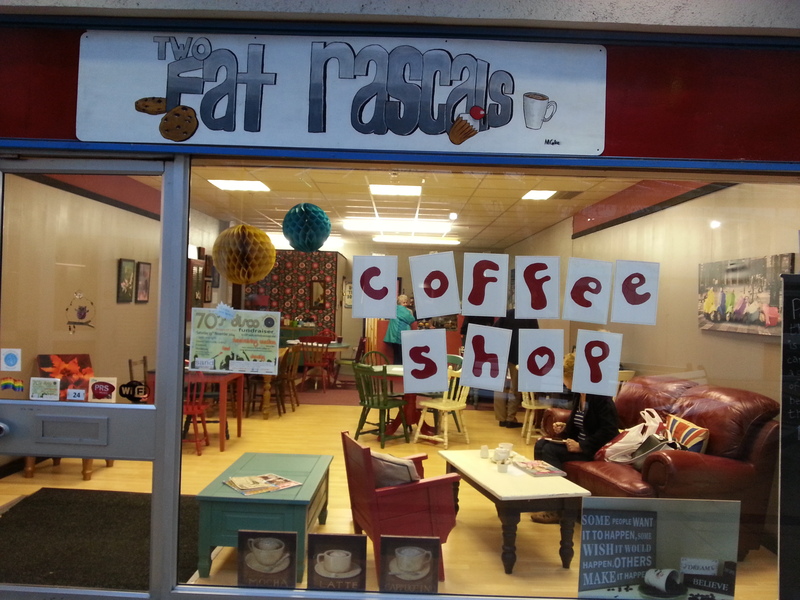 We have completed our research for HealthWatch Shropshire and facilitated a very rewarding dissemination event for everyone who took part – what a great afternoon we had down at the Two Fat Rascals Coffee House (if you haven’t tried it yet give it a whirl). Hot soup, scrummy chilli bread – and yes, cake kept us all going as we fed back the research findings to the participants who engaged in all the discussions and had a great time to boot – at least that’s what they said! The draft final report has now been written and will be sent off to HealthWatch Shropshire – once it comes back with a thumbs up then we’ll be able to share the key points and our plan for ‘what’s next’. If that’s not exciting enough, we are in the final stages of becoming a Company-proper (having said that it probably won’t be until after next month’s blog so expect to read that again). This is a major move for us as it confirms us as a social enterprise (that’s a bit scary) on some sort of trajectory. Once that’s all done and dusted we’ll be scrutinising our Action Plan to identify all the income earning opportunities so don’t be shy if you think of anything – chuck it in the pot. Our failure to get through to the second round of our latest bid we are, as mentioned, undaunted and are forging ahead with ideas – it’s all a but hush hush at the moment because we are at such early stages but there are 2 things happening and we are ‘in talks’! SAND folk continue to be out and about, up and down the country doing stuff and talking to people – check that particular journey here – click. We are also supporting a new initiative to encourage old lesbians – over the age of 70 (or thereabouts) to grab a coffee and enjoy a good quality discussion. Click here to see the poster. We have sniffs (i.e. small – perhaps increasing) interest in helping out with the development of some sort of network of practitioners – that is people all over the place who are working on similar stuff to us. It feels really important to have this something like this – to avoid duplication, support and encourage each other, share exciting stories and all that jazz. As with everything these days it is the division of labour to make it happen which is the biggest question mark over its future. We are also currently doing a bit of research into LGBT aware solicitors practices in Shropshire – watch this space – it is already looking very interesting and prompted some great conversations at today’s meeting. Welcome to 2015 and the SAND Action Group has started as it means to go on. A fair bit of today’s meeting was taken up with discussion about an event we are planning for May when we will invite health and social care service providers to hear our findings from the HealthWatch research. We ran through a proposed presentation for the event so the Group could agree the bare bones and style of the content – this will now be worked up with quotes and stories from the older and old LGBT people we have been talking to. Of course, all this will take place AFTER we bring together all those we have interviewed to hear what we have found and share their own experiences – with the compulsory cake (rarely has so much cake been mentioned in a blog!) 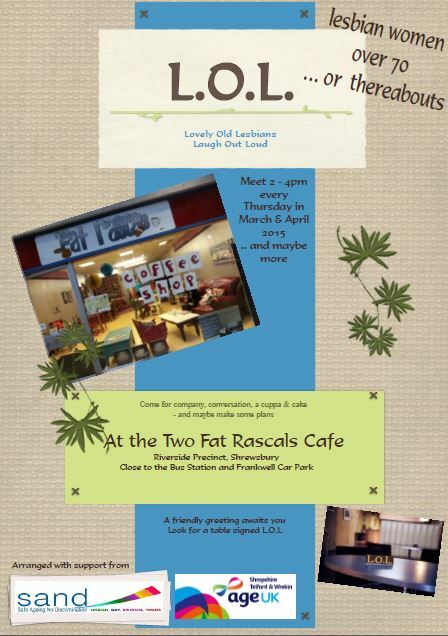 We have our friends at the Two Fat Rascals Coffee Shop to thank for providing our feedback venue for this one and are very much looking forward to it. We have a bit of our HealthWatch budget left to pay for these events and may top it up a little bit to make sure they are both good occasions for all concerned – quality is the name of the game. 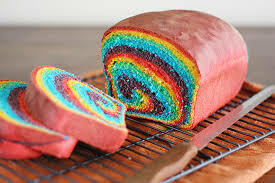 Another new thing on the horizon is our quest to find Shropshire’s LGBT-friendly solicitors. We are visiting websites, looking for any sign at all, and running our own test case locally. We are not suggesting for a second that any of them are unfriendly – but how do we know that they have the faintest idea about the sort of issues that affect older and old LGBT people? It’s a big question and we’re on it so watch this space. In our preparations for today’s meeting we had another look at our well-thumbed action plan and were a little surprised to see that we had nothing on this one specifically about older and old LGBT people and housing. Our housing whizz has had to miss the last few meetings and the rest of us took our eye off the ball so we are now gathering this up and thinking about how to fill the gap. This might mean an event at some point in 2015, to look at different housing options for later life – you never know, it will all become clear as we get closer to it and, as usual, we’ll make a note here. 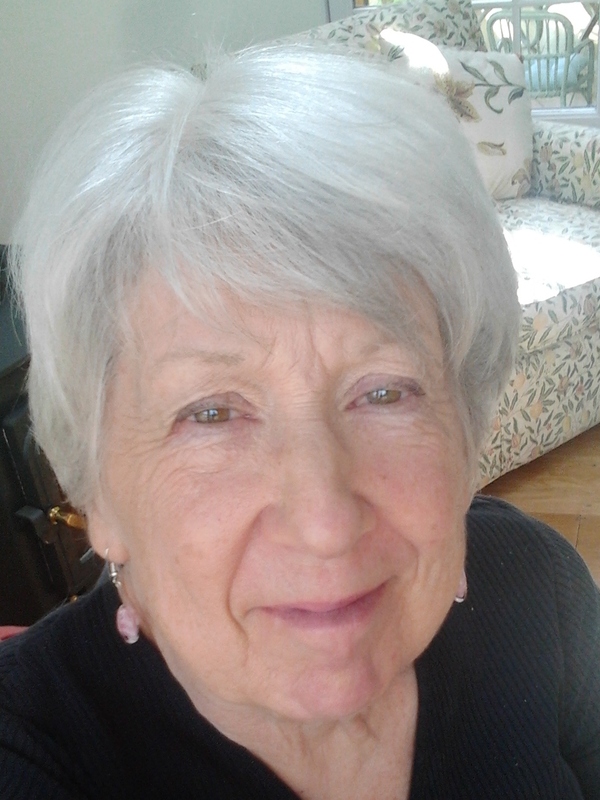 Jane Traies who spoke so fabulously at our launch event in the Summer will be on Women’s Hour next week talking about her research into old lesbians so keep an ear out for that.